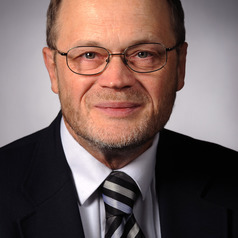 Mack Shelley is University Professor of Political Science, Statistics, and School of Education at Iowa State University, where has been a faculty member since 1979. He served as Director of the Research Institute for Studies in Education from 2003-2007 (and Coordinator of Research from 1999-2003). From 2013-2014, he was a Faculty Fellow in the Office of the Senior Vice President and Provost. He currently serves as Chair of the Department of Political Science. He is a member of the graduate faculty for interdisciplinary programs in Gerontology and Human Computer Interaction. His research, external funding, and teaching focus on applications of statistical methods to public policy and program evaluation, with emphasis on education policy and programs. He has received funding from numerous federal agencies, state agencies, and other organizations, including the National Science Foundation, the U.S. Department of Education, the U.S. Department of Agriculture, the Center for Substance Abuse Prevention and the Administration for Children and Families of the U.S. Department of Health and Human Services, the Centers for Disease Control and Prevention, the National Institute of Standards and Technology, the Iowa Department on Aging (and its predecessor Iowa Department of Elder Affairs), the Iowa Department of Education, Iowa Workforce Development, the Iowa Department of Public Health, and the Iowa Department of Human Rights. He received the Ph.D. in Political Science from the University of Wisconsin-Madison in 1977, the M.S. in Economics from the University of Wisconsin-Madison in 1973, and the B.A. in International Studies and Economics from American University in Washington, DC in 1972. He serves regularly as a statistical consultant for researchers, administrators, program staff, and students, and has received awards for research, teaching, and leadership. His research, external funding, and teaching focus on applications of statistical methods to public policy and program evaluation, with emphasis on social and health policy and programs. He has served as co-editor and a member of the editorial boards of a number of scholarly journals and other publications, including the Policy Studies Journal, TESOL Quarterly, the Journal of Information Technology & Politics, Annual Editions: American Government, Taking Sides: Political Issues, General Linear Model Journal, Studies in Educational Evaluation, Melvana Journal of Education, International Journal of Education in Mathematics, Science and Technology, The Sociological Quarterly, and the International Journal of Contemporary Educational Research. He has authored, co-authored, or edited 21 books and monographs including several appearing in multiple editions, and has published 37 book chapters and encyclopedia articles, 168 journal articles and refereed proceedings papers, and 279 other publications, and has participated in over 600 presentations and other forms of activity at professional conferences.